The Hong Kong Film Award Ceremony is the Oscars of Hong Kong. Like the Academy Awards, it recognizes achievements in filmmaking and is open to Hong Kong Films longer than one hour that were released in Hong Kong within the previous calendar year. It is a star-studded affair with prominent local celebrities that make an appearance at this most prestigious red carpet event. The Hong Kong Film Awards has been around since 1982. The nominations normally are announced in February and the Award Ceremony takes place in April. 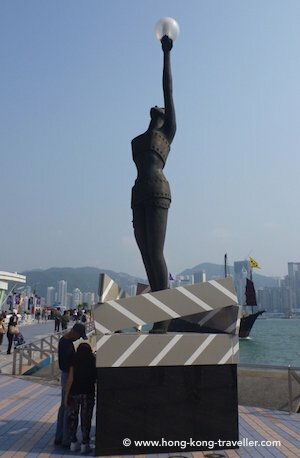 Winners are presented with the HK Film Award Statuette, there is a four-and-a-half meter replica at the Avenue of the Stars at the Tsim Sha Tsui Promenade. The statuette, a slender goddess wrapped in golden film, elegantly holds a pearl on her left hand. The designer of the trophy was actually inspired by Olivia Cheng, the winner of Miss Hong Kong 1979. This statuette became the official HKFA trophy since it was first presented at the 10th HKFA in 1991. The Best Asian Film category is the only one open to non-Hong-Kong films released in the territory. There is also the Asian Film Awards happening in March, this is the Oscars of Asia and sponsored by the Hong Kong International Film Festival Society. Where? Hong Kong Cultural Centre Grand Theatre in Tsim Sha Tsui. Attendance is of course by invitation only, but us commoners can catch a peek of our favourite celebrities as they arrive at the Red Carpet prior to the Awards ceremony. The designated official live broadcasters include: ViuTV Channel 99, STAR Chinese Movies (SCM), RTHK Channel 2 and TFI will broadcast the evening's programme to audiences around the world. 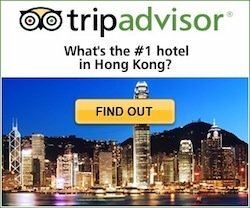 For this year's nominations and more information, check out the official website at www.hkfaa.com.